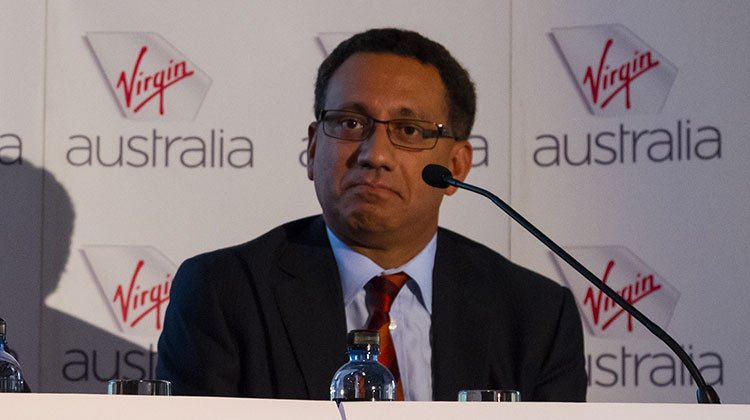 Virgin Australia chief financial officer Sankar Narayan is moving on four years in the role. Narayan, who was appointed Virgin chief financial officer in January 2011 and previously worked at Fairfax Media and Malaysia-based Astro All Asia, will step down in late September 2015 to take up a role in a different industry, the airline said in a statement on Monday afternoon. Virgin chief executive John Borghetti wished Narayan all the best in his new role and thanked him for his hard work and commitment as the airline group’s chief financial officer. “Sankar has made a significant contribution to the group over the past four years, including building a strong financial operating platform, spearheading the company’s transition to a single reservation system and designator code, strengthening the company’s balance sheet and diversifying its funding sources through innovative initiatives,” Borghetti said in a statement. Virgin said executive general manager of group finance Geoff Smith will be acting chief financial officer.